test. There are total 176 Driver vacancies available in this HRTC recruitment. Interested and experience having candidates of hill or tribal areas can submit applications on or before 11-02-2019 for and for others 01-02-2019. Application form is available in the official website of HRTC @hrtc.gov.in. This Drivers recruitment of HRTC will be conducted in two stages such as a preliminary driving test, Final driving test. For more details regarding HRTC Driver Jobs Recruitment eligibility details, age limits and experience required, other details please see the details given below. Click here to see the official notice of HIMACHAL RTC Driver Recruitment. The candidate must have qualified 10th class and must have a Valid License of Heavy Motor Vehicle License and 3 years PSV Bus driving experience. For all the candidates Rs.200/-to be paid through Demand Draft in favor of financial advisor and Chief Accounts Officer, Shimla-171003. For DD details check notification. Candidates can download load the application from HRTC website and fill all the details and submit it to nearest district or dipo offices of HRTC by hand as per given details in official website along with the Application fee demand draft, Caste Certificate, BPL Certificate, Educational qualifications, nativity certificate and copy of driving license, experience certificates if any other related documents. 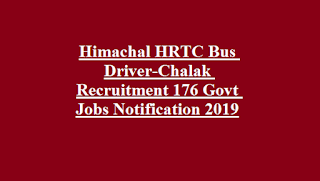 Click here to download the application form and notification online for the HIMACHAL RTC Driver Recruitment 2019. 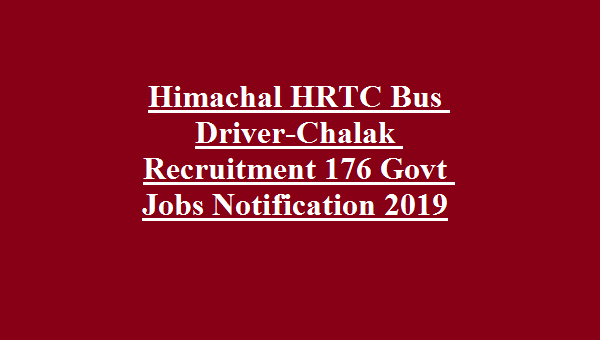 Please share this HIMACHAL RTC Driver Recruitment 2019 article with your friends.